It's not exactly news that California is struggling with water issues. Grapevines, however, are extraordinary creatures and, with careful planning, they can thrive in difficult conditions if planted in the right soil and in the right area. Dry-farming basically relies on the right type of soil, typically clay-based, to store the area's natural rainfall. This practice was, and is again becoming, the new norm for many wineries across the state - saving countless gallons of precious water in the process. Historically speaking, large-scale agricultural irrigation is a relatively modern luxury. 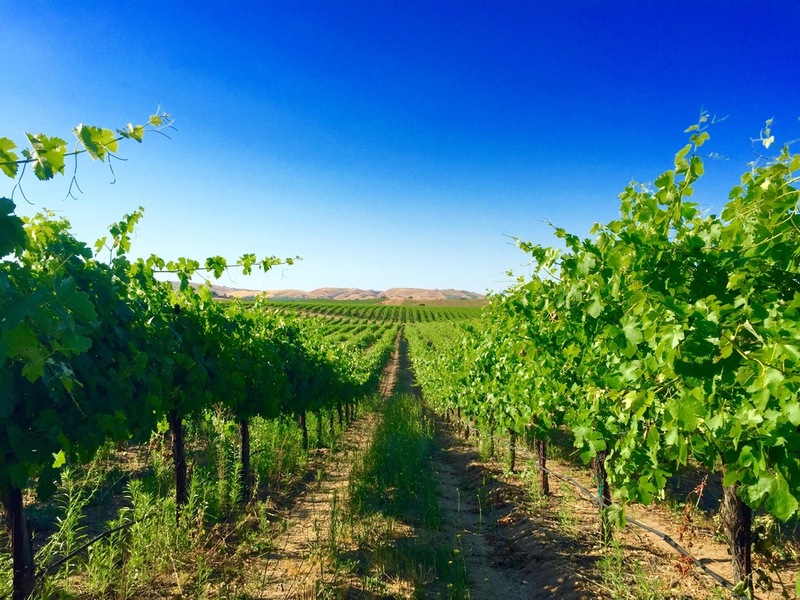 Although irrigation has been practiced for thousands of years, it wasn't until the mid-1960's in Israel when drip irrigation really revolutionized global agriculture, including the wine industry. In Europe, dry-farming has been the only option in many renowned wine regions throughout France, Italy, Spain, Greece, etc. for as long as anyone can remember. In fact, it is illegal to irrigate wine grapes in many regions, like Bordeaux and Burgundy, due to the belief that irrigation will lower the quality of the wine. The trouble with California is that our climate is much drier and, in many areas, much hotter than a lot of Old World European vineyards. However, many winemakers hold strong that dry-farming is better for the grapes. Since dry-farming tends to produce lower yields, some believe that this will intensify the grape's flavor and produce better wine. The idea is that more irrigation = watered-downed grapes and, therefore a watered-down wine. After all, some of the finest wines in the world are produced from dry-farmed grapes! A blend of Mourvedre, Grenache, and Cunoise, this rosé is one of the best in the region. It is bright and floral, with rich stawberry notes throughout. The finish is long and clean, delightful as a slightly chilled summer sipper. Since Pinot Noir is the wine Emeritus produces, it's no surprise that they do it well. Easy-drinking with great fruit character and mild acidity, this is a versatile summer red. It's no surprise for a Chappellet wine to be exceptional and this growing season certainly made it a little easier. This wine is ripe, with notes of jammy cherry and blackberry. It's rich and intense. An excellent example of dry-farmed, mountain-grown Zinfandel. Grenache is under-appreciated in the United States and seems to be making a bit of a comeback. Stolpman's Grenache is sweet on the nose, but don't let that fool you - this is a bold wine with some tannin and spice on the palate.